Eckart Plumbing Eckart Plumbing prides itself in being a business that serves clients on an individual basis. Tim Eckart Tim has been with the business since 1976 and offers a variety of services. Services Eckart Plumbing offers a variety of services. If there is a particular service you need but don’t see on our site, please call us and ask. Eckart Plumbing prides itself in being a business that serves clients on an individual basis. Whether you need a plumber for your home or business, we possess the expertise to get the job done right at an affordable price. Unlike larger companies, Eckart plumbing has lower overhead and the ability to provide greater savings to our customers. We are based 95% on referrals and would rather earn a customer for life than a quick buck. We are confident that regardless of your specific needs, we will exceed your expectations. Eckart Plumbing offers a variety of services. If there is a particular service you need but don’t see on our site, please call us and ask. 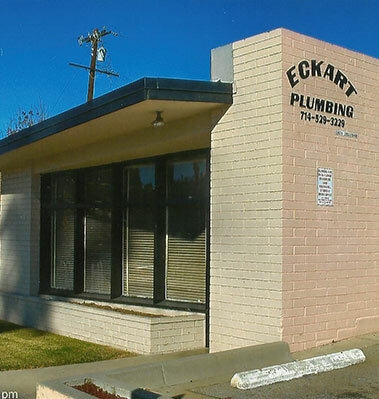 Eckart Plumbing has been in business since 1956. The family owned business started with Richard Eckart, as Wright & Eckart. It is currently owned and operated by Richard’s son, Tim Eckart. 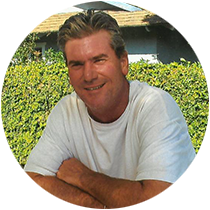 Tim has been with the business since 1976 and offers a variety of services. © Copyright 2013 Eckart Plumbing.